Comm Eye Health Vol. 26 No. 82 2013 pp 21 - 24. Published online 05 August 2013. They afflict the poorest people – those without access to the safe water, sanitation, and basic health services required in order to protect themselves against infection by bacteria, viruses and other pathogens. High-income groups are rarely affected. Many are chronic, slowly developing conditions that become progressively worse if undetected and untreated. The damage they cause can be irreversible. They can cause severe pain and life-long disabilities, with long-term consequences for the person and also for family members who have to care for the person. People with NTDs are often stigmatised and excluded from society, and this can affect their mental health. The individual diseases are very different, and one person can be affected by more than one disease at the same time. helminth parasites (schistosomiasis, lymphatic filariasis, onchocerciasis, intestinal worms and Guinea worm). the faeco-oral route (e.g. soil-transmitted helminths – see page 29) or via food products. NTDs can cause blindness (onchocerciasis and trachoma), deformity and disablement, disfigurement, cancers, and neurological problems. The biological diversity of NTDs means that the control or elimination strategies also are very diverse. Several NTDs can be controlled by drug treatment (preventive chemotherapy), on a country or community scale, via mass drug administration programmes. Other NTDs require different approaches and strategies for control or elimination, including specialised drugs and/or vector control (limiting or eradicating insects – e.g. flies and bugs – that transmit the pathogens). Despite the diversity of the strategies, however, there are good opportunities for comprehensive NTD elimination and control programmes. poor mental health of the patient and the caregiver, particularly chronic depression. Why are NTDs receiving increased international recognition? Over the last decade, NTDs have received increased recognition. This was made possible thanks to the establishment of NTDs as a ‘brand’ in global health. It was difficult to focus the world’s attention on 17 very different diseases requiring a range of different interventions. By recognising what these diseases had in common, and grouping them together under the NTD ‘brand’, however, it became possible to construct compelling arguments for action at the international level. These arguments were supported by good evidence: that addressing NTDs is cost effective in terms of economic rates of return on investment of health dollars, leading to ‘more health, for more people, for fewer dollars.’4 Further, the relationship between NTDs and social, equity/equality and development issues means they fall within the mandate of development agencies, therefore meriting both technical and financial support. What is being done to control NTDs? The drugs needed to treat NTDs are now included on the WHO ‘Essential Medicines’ list, and pharmaceutical companies are making them freely available to the populations in need through donation programmes. These programmes, together with increased country commitment to the control of NTDs and novel approaches to drug distribution (e.g. 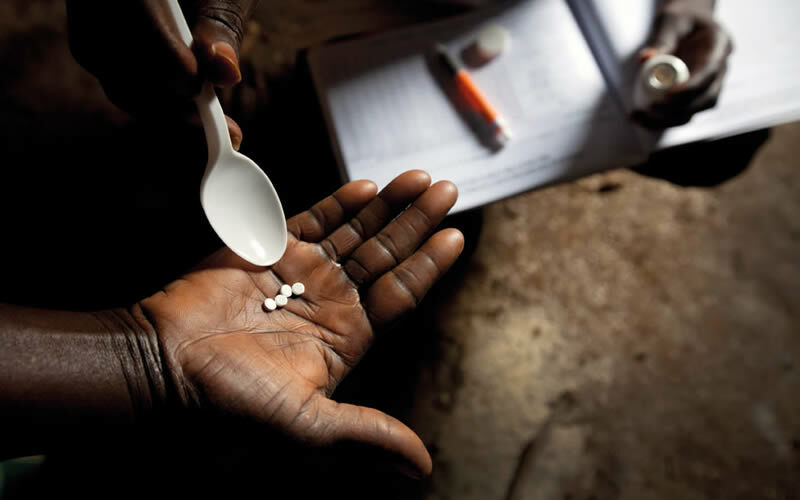 through community-directed interventions or school health programmes) have made it possible to address some NTDs (trachoma, onchocerciasis, lymphatic filariasis, soil-transmitted helminths, and schistosomiasis) on a massive scale, in what have become known as mass drug administration (MDA) programmes. enhanced data management, monitoring, evaluation, surveillance and reporting systems. The second WHO Report on NTDs, ‘Sustaining the Momentum’7, was published recently and identified progress since the first report.8 It also identifies the challenges in the way of achieving the disease-specific goals. implement a new strategy in areas where Loa loa (tropical eye worm) is co-endemic with lymphatic filariasis. This is due to the problems of severe reactions to ivermectin when people have high parasite loads of Loa loa. Globally, the investment required for the delivery of donated drugs is estimated at around US $0.50 per person treated, per year. Included in this ‘unit cost’ is the cost of training, social mobilisation, evaluation and monitoring, and surveillance, all of which are needed for mass drug administration programmes to be effective. The unit cost is estimated to be even lower in some settings: around US $0.10– 0.20 per person treated, per year. Even in the poorest countries, this represents just a small fraction of the national per capita health expenditure. Programmes to eliminate and control NTDs address issues of equity (equal access to health care) and are interventions that directly benefit the poor. The drug treatments are effective and broadly safe when correct policies are followed (see page 26). Mass drug administration programmes that reduce morbidity, mortality and transmission – leading to elimination of some of the world’s most distressing diseases – should be regarded as akin to global immunisation when viewed from a strategic perspective. They have proved that it is possible to deliver free drugs to the poorest in need at unit costs that even some of the poorest countries can afford, and have already afforded. We must call for this successful intervention to be made available to everyone who needs treatment. If this relatively easy type of intervention – free drugs, no need for a cold chain – cannot be replicated and scaled up to reach everyone who needs treatment, worldwide, there is little hope that we can make a significant impact in other priority areas, such as maternal and child health, or vaccinations. The NTD community has been successful in achieving a paradigm shift in the global health community’s thinking about these diseases, as exemplified in a WHA Resolution and their inclusion in the a post-2015 Health Goal (see panel, “Action on neglected tropical diseases at the global level”). What were hitherto unpronounceable conditions of poor people, and which did not concern high-income countries, are now high on the global health agenda. Consciousness has been raised but there remain many challenges, both technical and operational. A higher level of commitment is needed from the endemic countries, additional donors, non-governmental organisations, and charities. NTD partnerships recognise that they must face the following challenges: communicating the need for country commitment to enhance geographic and therapeutic coverage and improve compliance, and achieving this by prioritising capacity strengthening from the centre to the communities. In early 2012, the London Declaration10 was endorsed by 77 companies and organisations. The declaration included an increased commitment to drug donations and product development research to support the World Health Organization (WHO) Road Map5 towards the specific 2012–2020 NTD targets. 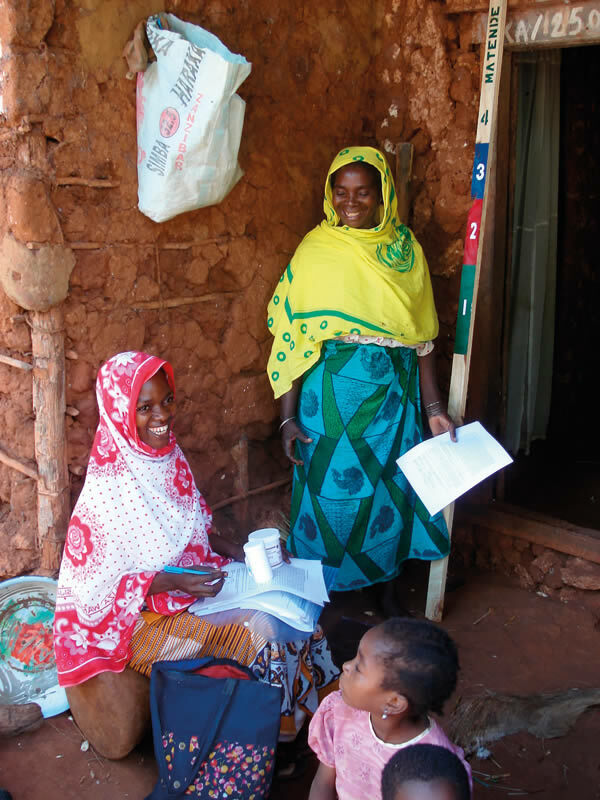 USAID and the UK Department for International Development have increased their support for the elimination of NTDs, and the Bill & Melinda Gates Foundation has committed significant research funds to address operational and productoriented research for NTDs. 1 Durrheim DN, Wynd S, Liese B, Gyapong JO. Lymphatic filariasis endemicity: an indicator of poverty? Trop Med Int Health 2004;843-5. 2 WHO/TDR 2012 Global Report for Research on Infectious Diseases of Poverty; Geneva, Switzerland. 3 Courtright P, Lewallen S. Why are we addressing gender issues in vision loss? Community Eye Health J 2009;22(70):17–19. 4 Molyneux DH, "Neglected" diseases but unrecognised successes – challenges and opportunities for infectious disease control. Lancet 2004;364:380–383. 6 Crompton DWT (Ed). Accelerating work to overcome the global impact of neglected tropical diseases: A roadmap for implementation. Geneva, Switzerland: World Health Organization; 2012. (PDF 492Kb).